Brick, NJ has a population right around 100,000. Being located right next to Point Pleasant and on the New Jersey shore, residents of Brick are no strangers to what the adverse weather can do to commercial and residential structures alike. 1800 Roof Plus is based in Point Pleasant, but our roofing and siding services don’t stop where the city limits do. Our New Jersey service area extends north to Sea Bright and all the way south to Lacey Township. With Brick, New Jersey being right next to Point Pleasant, we are quite familiar with the area and the residents of Brick. 1800 Roof Plus has been a mainstay in cities like Brick because of our range of services, our commitment to putting our clients first, and our affordable rates. Read below for details on our variety of services we offer Brick. Brick Gutter Services – Whether you are looking for Brick gutter cleaners or full on gutter replacement, 1800 Roof Plus has the experience required to do the job well. And considering the storms that often roll through Brick, gutter cleaning is a task which shouldn’t be overlooked when considering the overall state of your home or office building. Gutter clogs can destroy the drainage system, and by extension, the vitality of your roof. We will give you the honest truth and let you know whether you should consider gutter repair services or a complete gutter replacement. Brick Siding Contractors – If you find the outside of your office or house to have damaged siding, it’s likely time to call up your local siding contractors at 1800 Roof Plus. Siding repair is a common service we get asked for, due to the damage that is inflicted by the weather. Brick Window Installation and Repair – Getting a new kind of window installed can make a serious impact on your overall energy bill. Our energy-efficient windows are a great choice for those looking for both an aesthetic and financial improvement. We service commercial and residential structures with window repair and window replacement services. Consider 1800 Roof Plus for all of your home window replacement, repair, and Brick window installation needs! Condominium Services – If you think you are in the clear just because you own a condo, think again! The storms can get at any structure in the area, and condos are no exception. If a storm hits your home, give us a call and this is what will happen; we will come to you as fast as we can, perform a thorough inspection, and provide our recommendation about how to proceed, of course with a free quote included. This recommendation includes repair vs. replacement assessments which include the roof, siding, drainage system, and more. We at 1800 Roof Plus are dedicated to providing thorough Brick condominium services. 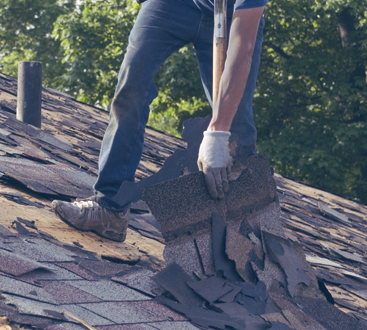 Brick Roofing Contractors – We provide commercial and residential roofing services up and down the Jersey Shore, and Brick, NJ, is no different. 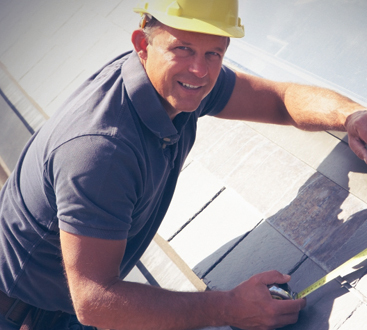 With exceptional value and quality results, we can help you out with your simple roof repairs and total roof replacements. From our inspection to the job’s completion, we provide affordable pricing, great work, and will be respectful and communicative. If you are looking for a Brick roofing company that has been around the block and isn’t going anywhere soon, go with 1800 Roof Plus, a division of Lombardo Construction. No matter where you find yourself along the Jersey Shore, it’s a safe bet that 1800 Roof Plus can provide you with outstanding services on any structure you want. People looking for window replacement, installation, gutter cleaning, gutter replacement, roof repair, roof replacement, or even vinyl siding contractors are finding 1800 Roof Plus to be a choice they can rely on. Having been in business for 4 generations, we are a family-owned, family-run roofing company based in Point Pleasant. Let us get you what you need in an efficient time frame, so that you can get back to a consistent routine. We provide great value, an array of services, and a dependable, straightforward, New Jersey way of going about our business. Give us a call to learn more about how we can help you save money in the long run, today!